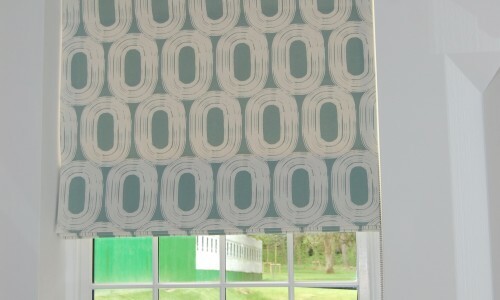 Diana Murray Interiors made four roman blinds for tall windows in a converted hospital building in Epsom. 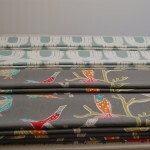 Scion is a new range from interiors brand Harlequin with contemporary and bright designs. 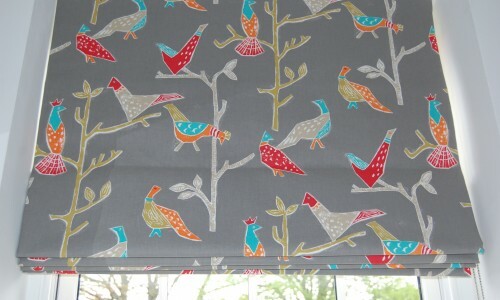 The two roman blinds in the kitchen/lounge were 2.4 metres high – great to showcase the ‘Loop’ fabric which could get lost on a smaller window. 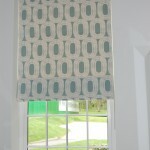 Diana Murray interlined these blinds which gives them a more luxurious finish. The roman blinds in the bedroom were interlined with blackout fabric to block out morning sunlight. 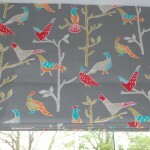 Diana Murray Interiors makes roman blinds in a traditional way which means you will see no stitch lines across the front of the blind. 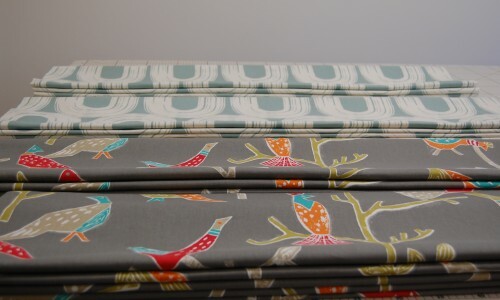 Many shop bought blinds will have machine stitching on the front of the fabric where the rod pockets and velcro is sewn. We use a method which takes longer but creates a much better finish.